Are you worried that the medicine you are taking is affecting your milk? You shouldn’t. Cells that are responsible for producing breastmilk has natural barriers that most medications cannot penetrate. Even if some medications are able to penetrate the barriers, they only do so in very low amounts that won’t have any effects to your baby. However, there are some exemptions which you need to consider before assuming that you can breastfeed while on medication. Does my baby’s health and age influence how he gets affected by the medication I’m taking? If you have a newborn baby or if your baby is considered to be medically unstable with poorly functioning kidneys, it’s best to steer clear of any heavy medications. However, for healthy babies who are 6 months and older, the risk of them getting affected by it is lowest compared to newborn ones. Should I stop breastfeeding while taking medication? Ensure that your doctor knows you are breastfeeding. If you think your doctor is not sure if you can breastfeed safely while on medication, ask that they consult with pharmacists. If your doctor says that medicine might be indeed be harmful for your child, ask for an alternative medication. 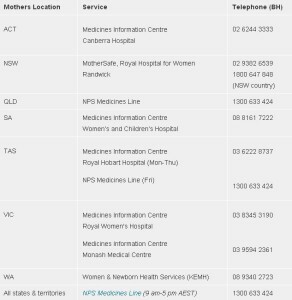 Contacting the Medicines Information Centres to ask about the medicines you can take while breastfeeding is also highly recommended.